1) Mastering the body so that the mind is not distracted by itching, aches and pains – essential oils for meditation can help with this. 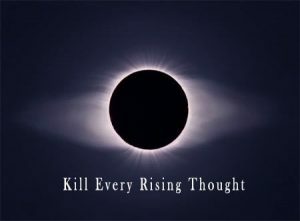 2) 1st level mastery of the mind – the capacity to freeze conscious thought processes and suppress the incessant babble that makes our consciousness a maelstrom of inane and insane disconnected chatter. This I call peace. 3) 1st level control of the now quiet and empty space in your head. This means being able to create and hold a simple image in the timeless dark of your mind – which is now under total control. 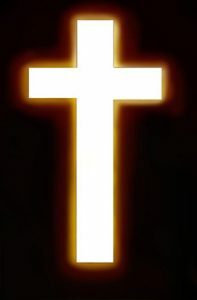 For some people this may be a simple Cross of Christ or a Circle; it is almost always a simple glyph that has deep meaning for the practitioner. 4) Becoming one with the image in your mind. These steps are as simple as they sound – but like all things worth mastering, each one can be devilishly difficult. 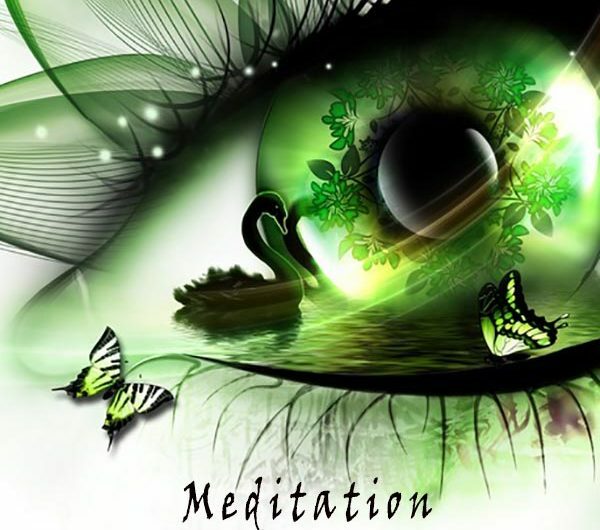 Because of the focus they provide, essential oils for meditation can help greatly. I have no intention of writing an an extensive instruction on meditation here – but if you need some advice by all means contact me. What I will do though, is to provide a very, very elementary introduction to the simplest position and practice. Choose a quiet space with dim light where you won’t be disturbed. Remember to switch off ALL electronic equipment that may disturb you. 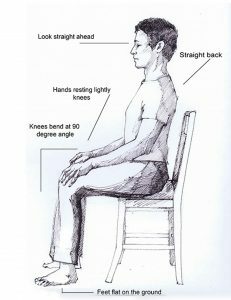 Sit in a chair – head up, back straight, knees together, hands on knees, eyes closed. DON’T SLOUCH! As with all meditation positions it’s important to remain semi-rigid and alert to the tendency to ‘relax’ – which you really must not do. With practice you will be able to ignore any distracting signals that your body sends you. One great teacher called this position “The God”. If you have a strong essential oil (see below for details) in your diffuser when you are doing this, it will help to keep your mind focused and clear. This is the first benefit of using essential oils for meditation. First, make sure you have a suitable essential oil diffusing in your space. Breath slowly, steadily and calmly in and out through your nose. If you struggle at first (most people do), allow yourself to breathe a little faster, but still steadily. 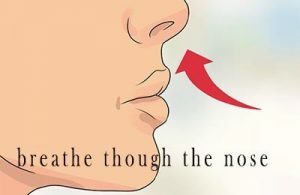 if you still struggle, breathe in through your nose and out through your mouth, slowly and steadily and when you are comfortable gradually shift back to breathing only through the nose. Now for the tricky bit! You should be able to hold your physical position for at least 30 minutes without moving before you move to this phase. Old-world practitioners used to test their abilities by having a saucer brim-full of water placed on their heads – if they spilled one drop then they were not yet competent. Once you are happy with your capacity to remain absolutely still you basically forget about your body because it will no longer trouble you or deflect you from your purpose. You are sitting quietly and steadily and you need to think about – NOTHING. So you try to think about NOTHING; and that’s where the fun begins, because your brain just won’t stop producing images, memories, friends, people places and heaven knows what else. Your mission – should you choose to accept is – is to SILENCE this rabble of thoughts. This is one area where essential oils can help – just focus without words or images on the sensation of the odor as it hits your mind. Essential oils act on the mind through the limbic system, and so they have a powerful effect on our moods and state of mind. That is a key reason we can use essential oils for meditation. Over thousands of years, the best oils for spiritual and meditation practices have been selected and tested, but I’m going to start you off not with the best oils in a general sense, but the most powerful oils to help you control your mind. They do this by basically overwhelming your mental sense and displacing the meaningless stream of thoughts that so troubles. We’ll call these active thought suppressants. This is not a hard and fast rule; these are not the best oils for deep meditation, they are merely effective as a mental distraction because of their powerful (and beautiful) odors. However, as with so many things, you need good quality 100% pure oils as any unpleasant ‘undertones’ will unsettle your mind and drive your mind away from the condition you seek. Simply get a good diffuser – and some good quality oils (you do NOT to spend huge amount of money – less than $20 for a good selection of oils and less than $30 for a very nice diffuser. Before you begin your session, let the diffuser fill your meditation space with the odor of your selected oil and keep it running (it MUST be silent). Make sure you can switch off any lights on the diffuser – you don’t need the distraction, although with a little more tuition, a rotating light pattern could be useful as a further aid. Imagine yourself pushing down and drowning every thought that tries to rise; imaging yourself pushing it down and drowning it in darkness – cut off every word, every thought every image and let your mind concentrate only on the smell of the oil as you breath slow and steady. You will struggle at first, but by focusing on the oils odor you will find that eventually, your mind will surrender and become silent on your command. You may then dispense with the oil, although I prefer to move to a more sophisticated oil like frankincense which has deep spiritual roots and is of great importance in more advanced techniques. You are now sitting silent and easy, your mind a blank in a sea of darkness. No words or sounds or itches or any thought disturbs you. Now for the hardest part! Let a simple shape appear in front of you – if you are a Christian, then a cross might be best; if you are an atheist or of any other denomination, use any shape that has meaning for you – but keep it simple. Do NOT let words and associations rush into your silent space – keep suppressing them. The image in front of you will twist and and rotate and do all manner of strange things because your mind is fighting back against your control. HOLD FAST! Time will move at a radically adjusted rate in this mode and your adventure is just beginning. It may take weeks to master this practice but you will be truly astonished at the result. Whatever your faith or philosophy you will gain one of the deepest insights into the universe it is possible for any human to acquire. On this I will say no more, for the road is yours to tread and yours alone. If you have enjoyed this article, please like and share with someone else who will be interested in essential oils for meditation! You may contact us with your questions at any time and we will answer you as best we can. Sincere thanks for visiting us.